You have the vision. We have the expertise. Together, we’ll create a home that represents your family’s style and dreams. Our experienced team is trained to guide you every step of the buying process: design decisions, financing, construction, and beyond. Discover your personal style and figure out what suits you best! 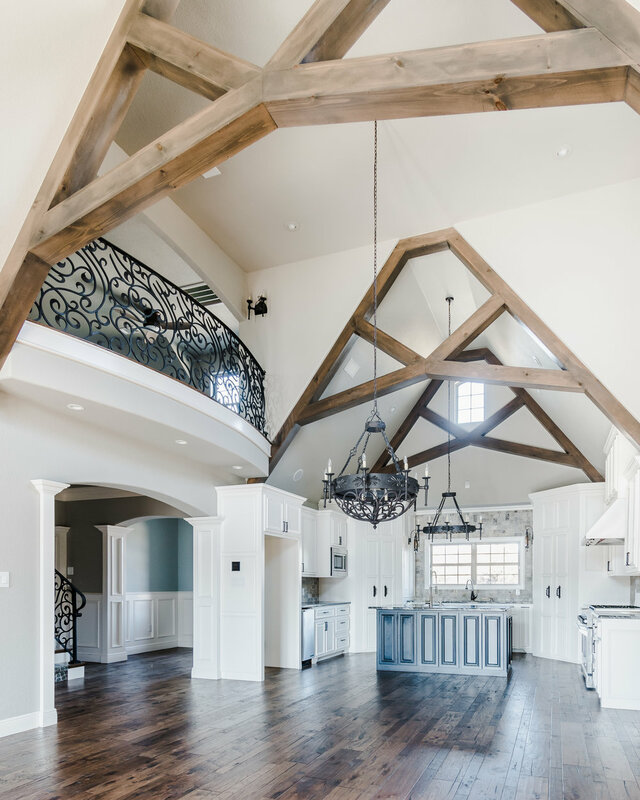 Gather inspiration by visiting our professionally decorated Model Home or check out Pinterest or Houzz. The possibilities are endless! Visit your bank to determine what kind of home would best fit your lifestyle. Talk with a loan officer to get your pre-qualification letter. Where do you want to live? Find a homesite in one of our beautiful communities that would fit your lifestyle! Consider schools, area amenities, shopping, etc. Explore our home design library and find a layout from our award winning architect that fits your wishlist! Still need an extra bedroom? No worries, we can transform any plan to fit exactly what you need. Our Studio is your design destination. Together, we'll work through the entire personalization process, transforming your new home into a place that reflects your personal style. You will pick your colors, tile, flooring, cabinetry, etc. Find design inspiration on our Instagram, Pinterest, or Facebook! Time for the real fun to begin! Sit back and relax, it’s our turn to transform your vision into the home of your dreams! Share the progress with family and friends on social media with #mycarrington! It's almost time to celebrate! After months of hard work, it's time to turn over the keys! Next stop: home! The day you've been dreaming of is finally here! Hurry and unpack, it's time to plan a housewarming party! Invite your family, friends, and new neighbors over to celebrate your amazing new Carrington Creek home!